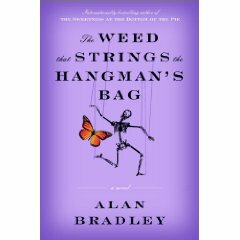 I thought today I would introduce you to one of my favorite mystery authors, Alan Bradley. 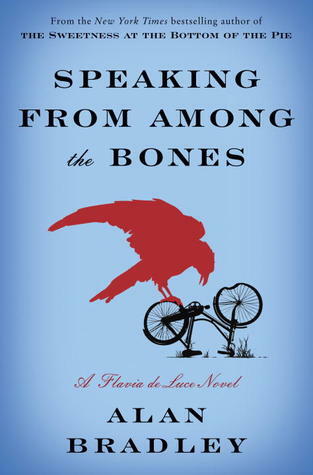 Alan is a fabulous gentleman (I can say that because I got to interview him once) who writes mystery novels about a young girl named Flavia de Luce. Flavia lives in England in 1950 in a big, ramshackle house with her father and her terrible sisters. Flavia also has an incurable curiosity, which gets her involved with chemistry, bicycling, and murder. In the first book, The Sweetness at the Bottom of the Pie, Flavia’s father is arrested for murder. This is patently ridiculous as Mr. de Luce doesn’t leave his stamp collecting long enough to prevent his daughters from trying to murder each other, much less taking the time to kill someone himself. Flavia, distressed at the obtuseness of the local constabulary, takes it upon herself to solve the murder, which she manages with a bit of assistance from her bicycle, Gladys, and her scientific knowledge. 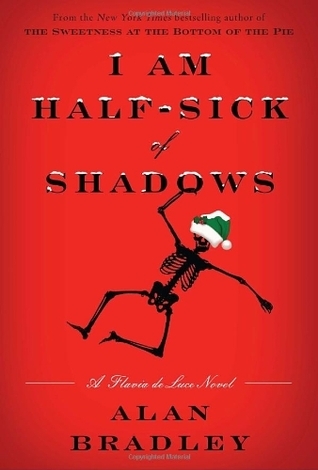 Flavia’s adventures continue in The Weed That Strings the Hangman’s Bag, A Red Herring Without Mustard, I Am Half-Sick of Shadows, Speaking From Among the Bones, and the 6th book, The Dead in Their Vaulted Arches will be out on January 14th. Flavia is an eleven year old girl and the first book is absolutely something that I would and have given to younger readers. The victim was a bad man to start with, and the murder itself happens off stage. Flavia is perfectly composed when she discovers the body. However, I would caution parents about the later books. There are some more adult themes and slightly more gruesome deaths. Some kids will be able to roll with the content and some won’t. You know your kids better than I do. I recommend that you read the books yourself (which I recommend anyway, because they’re awesome!) and decide from there.